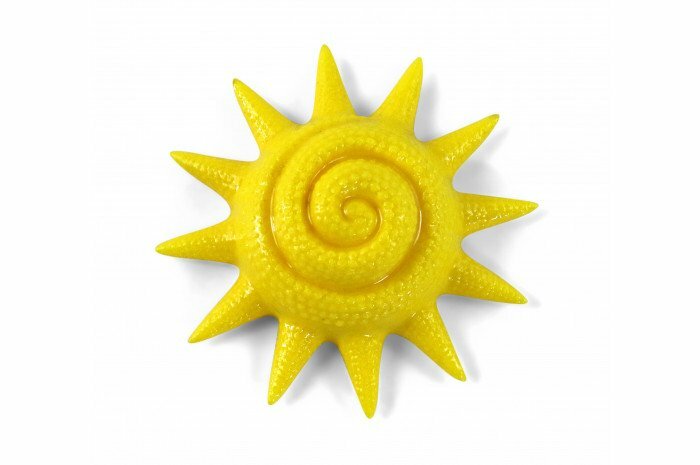 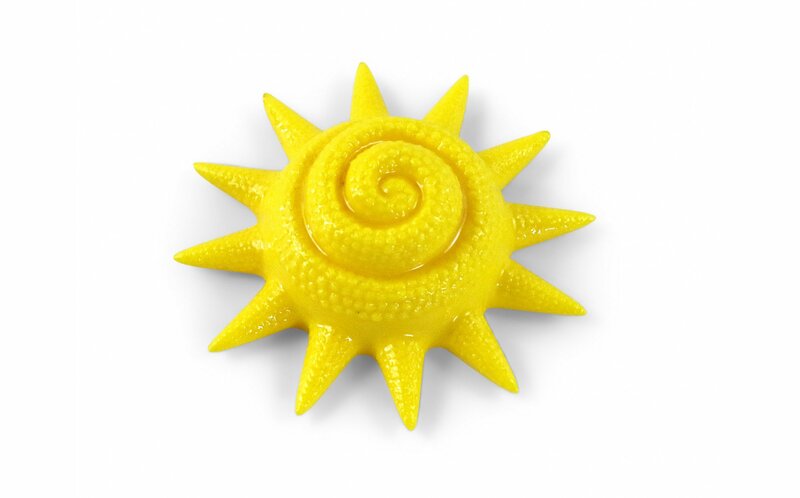 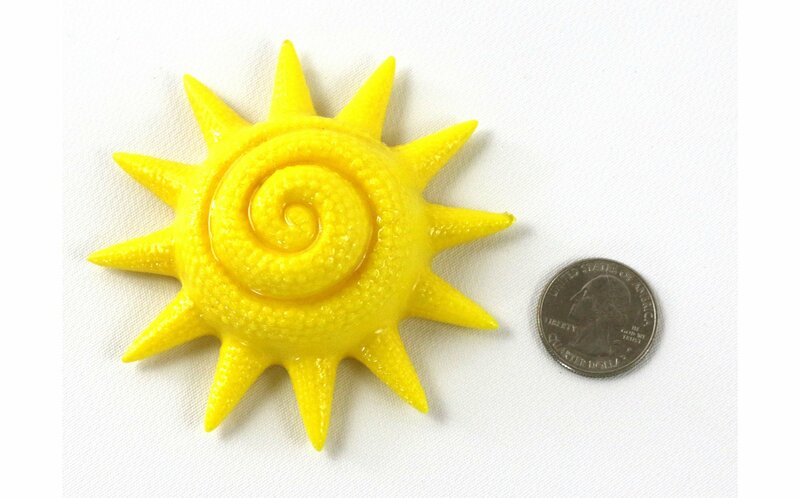 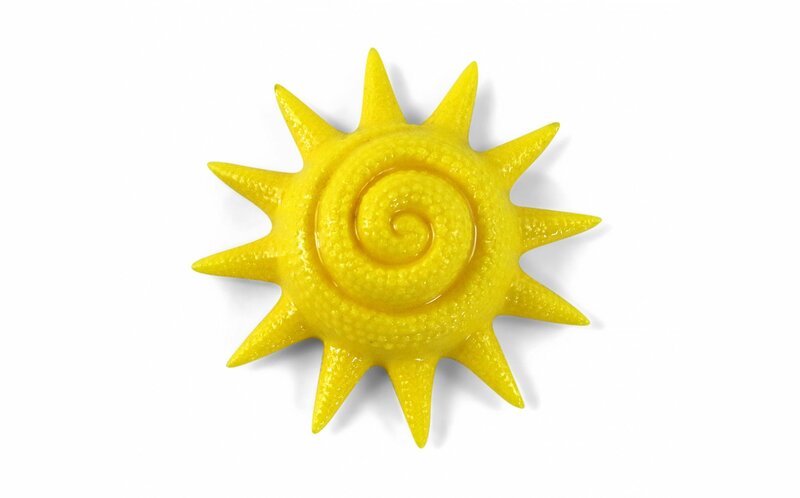 The happy color and texture of this sun will brighten any sand tray. 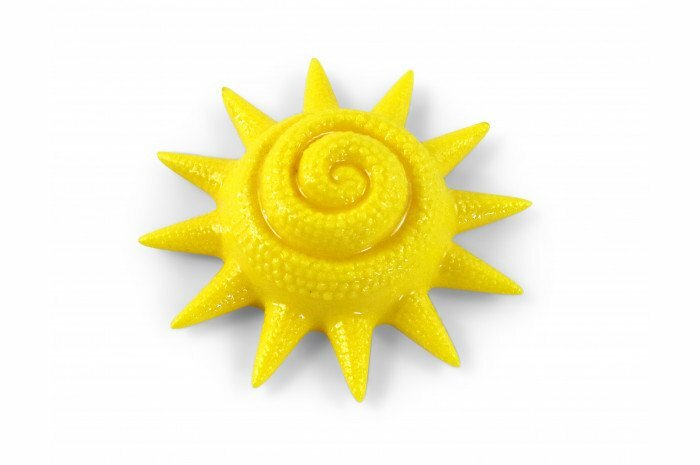 Symbolic of splendor, masculine qualities, the "hero", and significant in religious cultures since the beginning of time. 3 3/8"x 3 3/8" x 1 1/4".